Motorola last month launched its new Moto G7 series smartphones in Brazil, including Moto G7, Moto G7 Plus, Moto G7 Power and Moto G7 Play. Earlier this month Motorola also launched its Moto G7 and a new Moto One device in India. Notably, Motorola hasn’t launched a smartphone with a punch hole camera until now. However, last week we saw the first render image of a new Motorola device called the Moto One Vision with dual rear camera and punch hole selfie camera. Now, it looks like Motorola has another Moto G series smartphone to be in works with the same punch hole selfie camera called Moto G8. According to the render images of a new Motorola device shared by @OnLeaks that allegedly called it calls it as the new Moto G8, could soon to be launched with a punch hole camera. He has also shared a couple of 360° video + gorgeous 5K renders and some of the specs of the upcoming Moto G8 smartphone via folks at Pricebaba. Update: As per a new tweet by OnLeaks, it appears that the device might be the successor to the Motorola P30 Power. The Moto G8 render shows the device to come with a triple rear camera setup for the first time on any Motorola device. 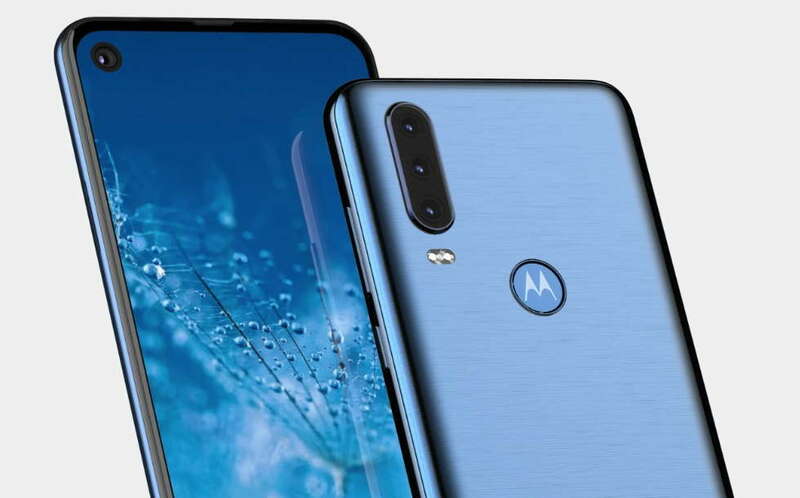 The phone at its front has a punch hole selfie camera as seen on the render of the upcoming Moto One Vision smartphone. The Moto G8 according to the details provided by OnLeaks, will come with a 6.2-inch HD+ display, same as the Moto One Vision. The Phone will measure 160.1 x 71.2 x 9.1mm with the camera bump standing at 9.7mm. The report further reveals that one of the rear cameras will include a 12-megapixel sensor with dual-LED flash underneath. At the Bottom, the Moto G8 will feature a USB Type-C port, loudspeaker grill, and primary microphone. It will also feature a 3.5mm headphone jack on the top.